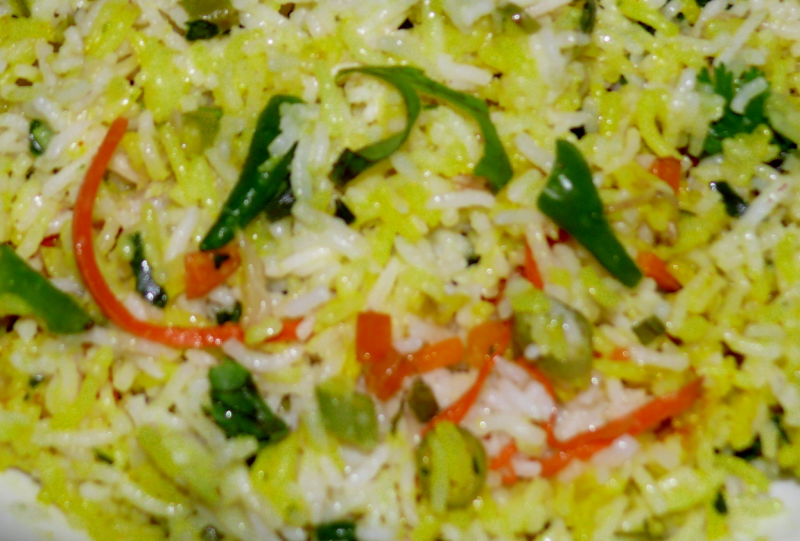 A traditional Pulav of South India. A healthy and delicious mixture of Vegetables and Cocunut Milk.You can do the same Pulav using ordinary Milk and fruits of your choice. Heat oil and butter in a pan. put cinnamon sticks, cloves, green cardamom and vegetable(except green peas ) and fry for sometime. Then add the masala paste,salt and saute for 3 mins.add green peas and coriander leaves(optional) and saute well. Now pour the cocunut milk (2 cups) and water - 1 cup.let this milk mixture boil well for 6-7 mins. Add rice and cover the pan and cook for 10 - 12 mins in low flame till rice is done.Garnish with chopped coriander leaves. This pulav is a tasty one. Hi Halima.Thanks for your interest in this recipe. Hope it turned out well. Bye!. thanks christy, for this recipe. I'm trying it today. Hi Jyoti, thanks for trying the recipe. you can add 1 tsp ginger juliens , 2 tsp cashews and raisins (fried in ghee-1tsp) and a handful of seedless grapes when this coconut milk pulav is done and mix it well.